In light of today being Halloween, I decided to dig up another spooky pairing to celebrate the occasion. I’m not sure how Halloween is accepted in different parts of the world but I think it’s mostly the same in North America. The only difference is up here in the Great White North is that the costumes usually get covered by massive puffy coats at this time of year. So you see the puffy-Ninja, puffy-Princess and my personal favorite, the puffy-Superman that can’t fly! lol The temperature is dropping quickly this time a year and is hovering around freezing (32F/0C) as soon as the sun goes down. Hopefully puffy-Superman doesn’t get frostbite! 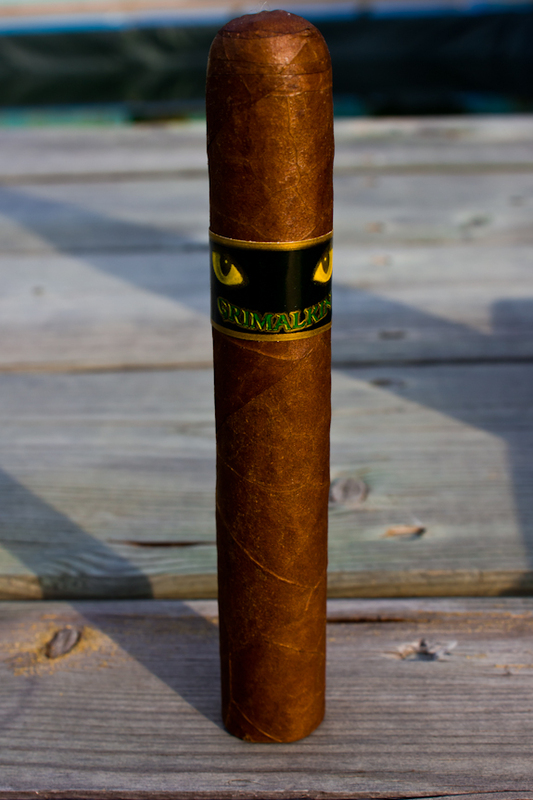 So the pairing I decided on today to celebrate Halloween is the Grimalkin by Emilio Cigars. If you’ve been following our reviews over the last couple months you would have seen Tony post up two reviews from Emilio, the AF1 BMF and the AF2 Toro. If you take a glance through Tony’s reviews you’ll see that he enjoyed both of them quite a bit. I also had the chance to smoke them and thought they were both quite enjoyable. So does the Grimalkin continue that trend? If you haven’t heard of Emilio Cigars don’t be surprised. They’ve been making a larger splash in the market recently but up until a few months ago I hadn’t really heard of them either. They are slowly expanding distribution and getting a name out for themselves. You can check the Emilio Cigars website for information on retailers near you that carry their products. Emilio Cigars is owned by Gary Griffiths and there isn’t too much info available on this cigar. 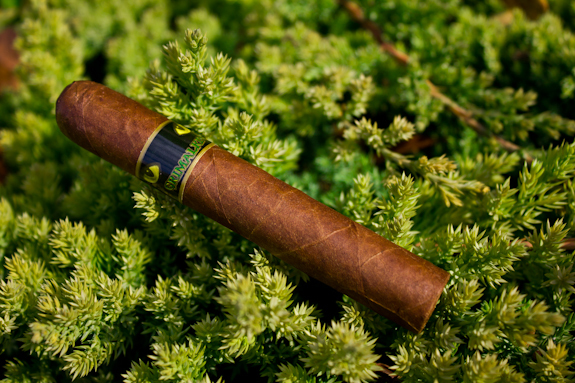 From what I can find, the Grimalkin is made in Esteli, Nicaragua from selected and limited tobaccos. 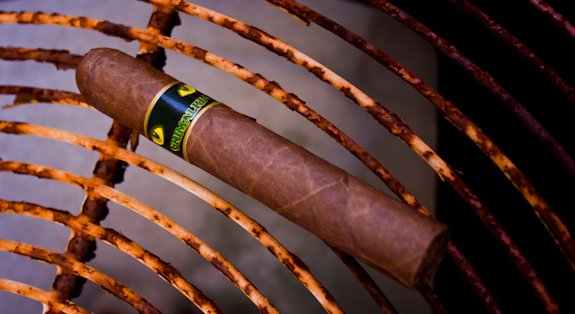 The yield of this cigar is limited based on the harvest amounts of the various tobaccos. 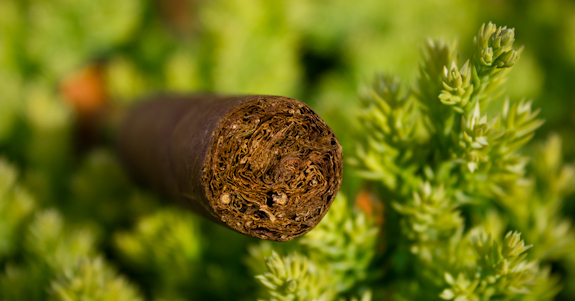 So what this basically means is that each year will have a different production amount based on the amount of required tobaccos they manage to harvest. I like this approach, it’s fairly practicle and it’s not limiting production to a set amount of boxes every year. A quick google search shows them available in a few shops so that’s a good sign as well. Now I found the band here to be kind of interesting… The name “Grimalkin” seems sort of like some creepy monster, maybe like a more evil Gremlin, and it goes nicely with the ominous yellow cat-like eyes on the wrapper. What seems odd to me is that the text is printed in curved pattern which makes it look sort of like the cat is smiling at me? Am I crazy? It’s not really an evil smile either, it looks happy to me! Seemed to take away from the spooky aspect since it made me laugh, lol. But maybe it’s just me? I’ll stop talking now… let’s get to the review! 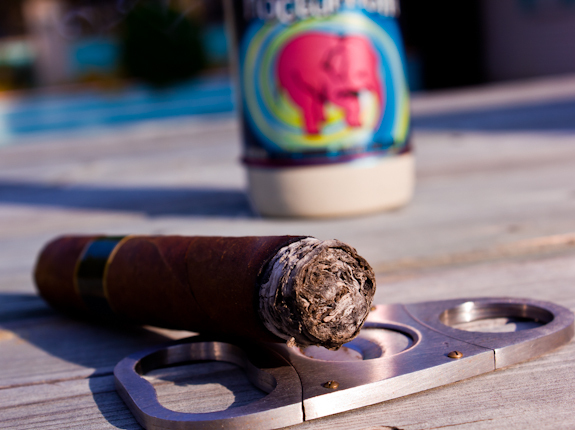 I enjoyed this cigar quite a bit, not sure I would call it a top 10 or anything but it made for a good relaxing afternoon. It had a variety of flavors, burned well and kept me interested the whole time. I think the balance was a lot better in the first half but it wasn’t bad at all in the second half, just had a little more of the woodsiness versus the other flavors. The band still makes me laugh a little but oh well, lol. The flavors seemed to be perfect for fall for some reason, they reminded me of what you would find in pumpkin pie or something. 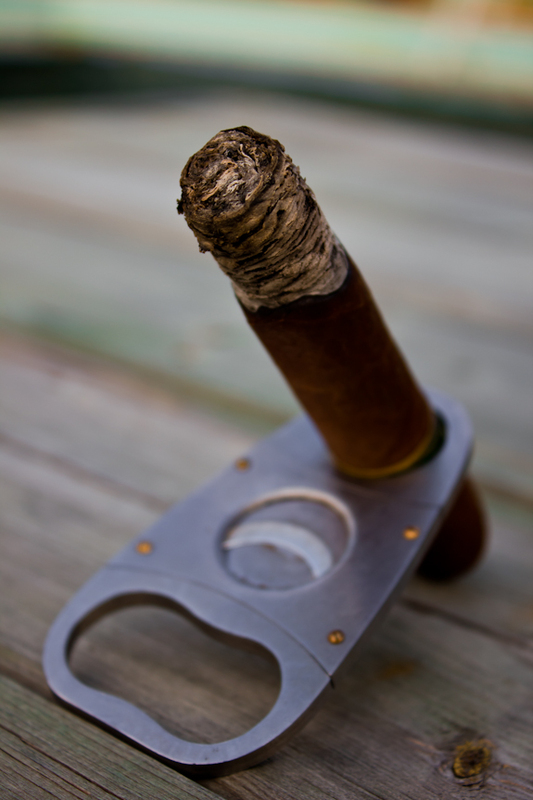 I think I would definitely pick up a few more of these to keep in the humidor. The price is just a touch higher than I would want for this flavor profile, but considering it is a limited release it’s not over the top either. Now did it pair well? Hell yes it did. Tony is lucky this time! lol. The fruit, malt and bitterness made an excellent pairing to the coffee and spices of the Grimalkin and I think it would pair excellently with a ton of different cigars and various strengths. 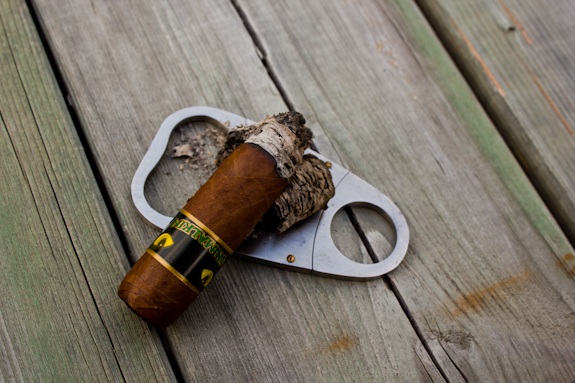 Daniel~Nice review and glad to hear that someone else things that certian cigars have certian seasons. 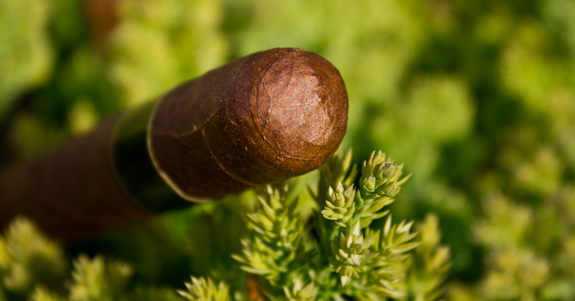 I have always thought that darker/spicer cigars seem better in fall/winter and mild/lighter in summer. I have grimalkin in my humidor and am looking fwd to enjoying it with a cup of ethopian coffee.. Thanks Rev! 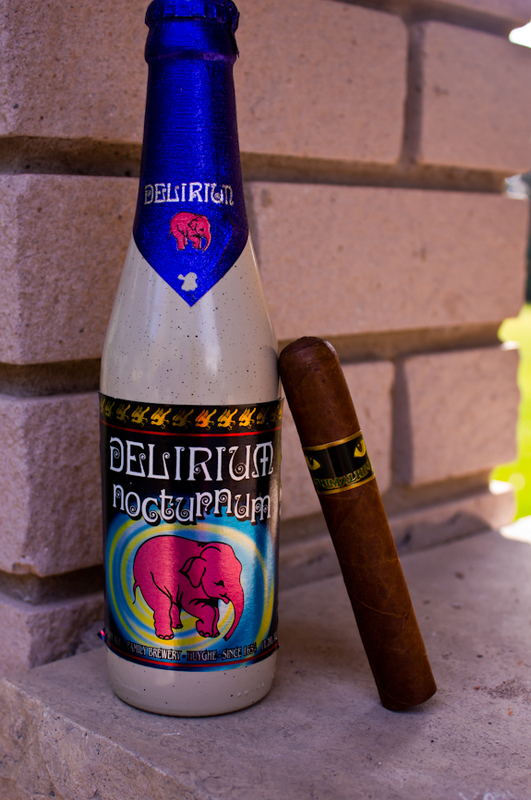 I definitely agree that some cigars can be seasonal, same goes with various beers and even coffees! 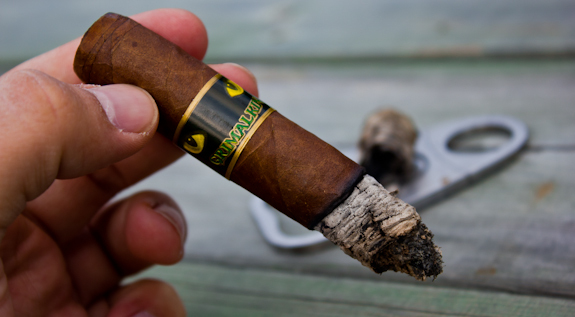 Let me know what you think of the Grimalkin when you get a chance to smoke it! 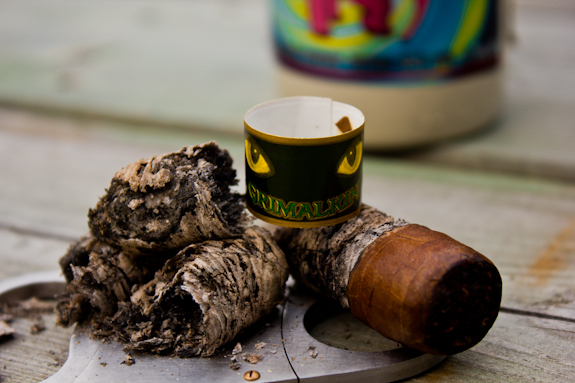 Daniel~So I got inspired by you, took the Grimalkin out fo the humidor and enjoyed it while handing candy out to the kids last night. It was a cool night, the smoke for our neighbors fire was in the air. I paired the grimalkin with a hot toddy~ it is tradtion that our nighborhood hands our bevergaes for adults~ while giving candyto kids~ ours this year was called a Gremlin’s leg~ Dark Hot Chocolate, Peppermint Schnapps, Starbucks Coffee Liquor and dalop of fresh whipped cream. 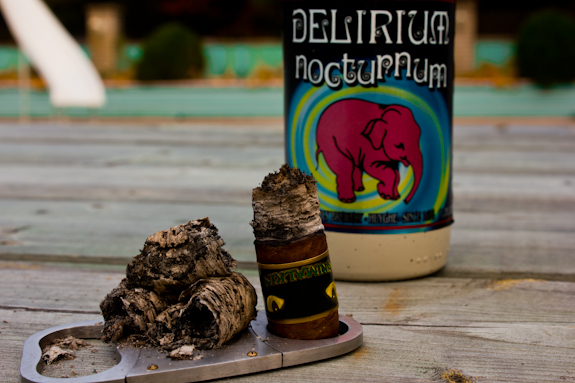 At first I thought it might be overpowering for cigar~ I was wrong the funkyness of the mint and chocolate bounced off the earthy/pine-y/spice of the grimalkin when I got about 1/3 way in. Maybe it was the night, but I was amazed by the amount of thick smoke that came off it? I wasn’t expecting it~ plus the wife loved the smell of the smoke~ quite amazing. I’m enjoying different cigar placements. Creativity is the key 🙂 As always, great and descriptive review. I have yet to try Grimalkin. Those eyes are little spooky so perfect Halloween selection. Keep up the good work, bud ! Thanks Jay, I’m trying to learn from your pictures! haha. Hope you got something special to enjoy for Halloween today! Great review! I was able to try one of these thanks to Tony, and your review is a good reflection of my experience, although I can never grasp the individual flavors as well as you guys do. Which is to say, I enjoyed it. I’m hoping the Emilio cigars will be available in my neck of the woods soon. Thanks jjo! Glad to see my opinion was in line with yours. Their distribution seems to be expanding pretty quickly and you can always order online. I say that our friends over at Bonita are selling these too if you’re interested. I was going to say the same thing Now I don’t have to worry about hurting Tony’s feelings. 😉 You both take pics like you own nice cameras or something. Great job on the review, Daniel. Another great review Daniel T. Looking forward to trying this one some day soon. I love the touch of nature in the photos, what a great idea. Tell Tony not to feel bad, his pics are pretty darn good too. But if anyone is keeping score, it’s CAN 1- US 0. Till the next review boys!! Happy Hallowe’en! These are pretty hard to track down up here but a little looking around and you should be able to find someone to ship here if you really wanted to try them. What? you want a cigar that you can only get in the US? TOO BAD.. MUAHAHAHAHAHHAHA! No but really Lou, if you can’t get your hands on them let me know. No, I haven’t tried it yet, but one of these days…. It would be the perfect time to break out the Unibroue, eh? Hope you enjoy that artery clogging mass of deliciousness!